My second shipment for the books I've order on Amazon has arrived. This is book 3 out of the 3 books I ordered. The other 2 books were shipped out earlier. 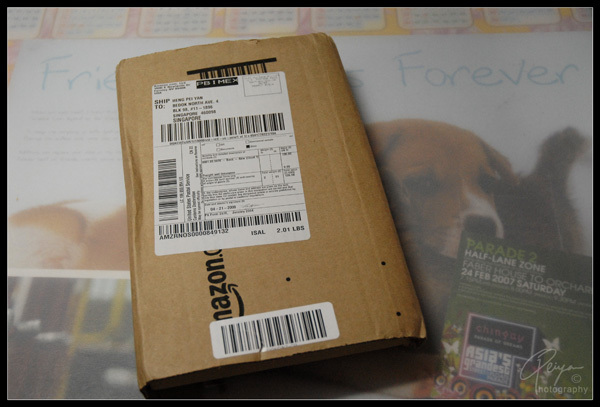 The book came in a cupboard cardboard wrap form since it was just one book. It was quite interesting to see how the books are being shipped to my house from US. 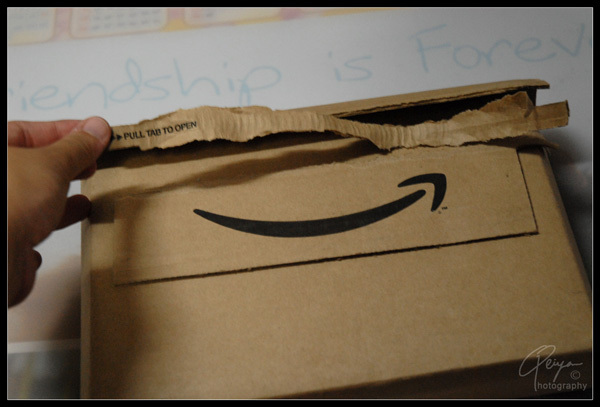 My book wrapped in a cupboard cardboard envelope. 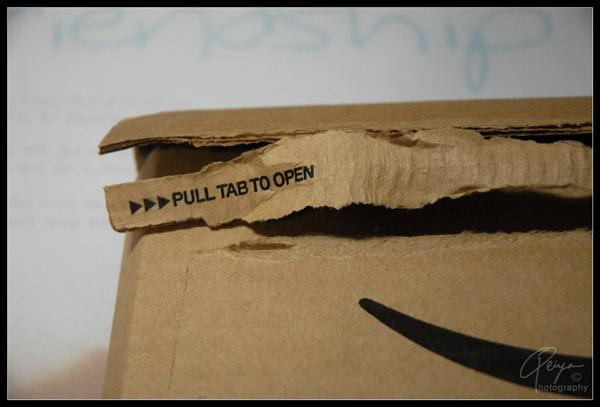 Behind the parcel, I'm suppose to tear the tab to open. 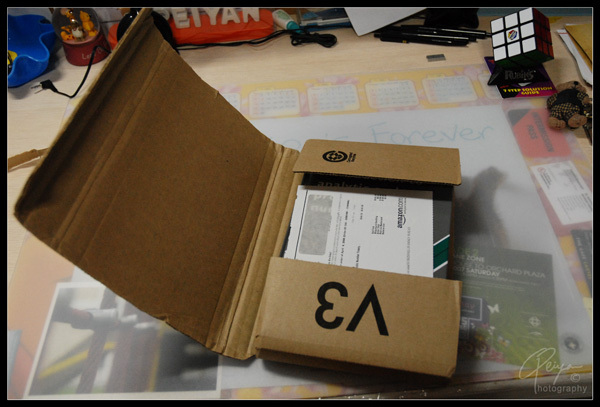 The book is nicely kepy in place within the perfect fit of the cupboard cardboard envelope. Book 3: Intro. 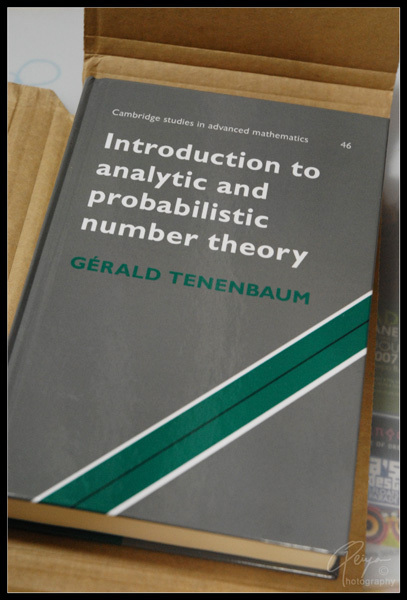 to Analytic and Probabilistic Number Theory by Gerald Tenenbaum. The hardcover book is the glossy cover which all the hardcover books now are. The one I borrowed from the library was an old copy (i think). Thought it is also hardcover, but the material was more cloth-like kind. It's nice to hold and has those old book kind of sound.